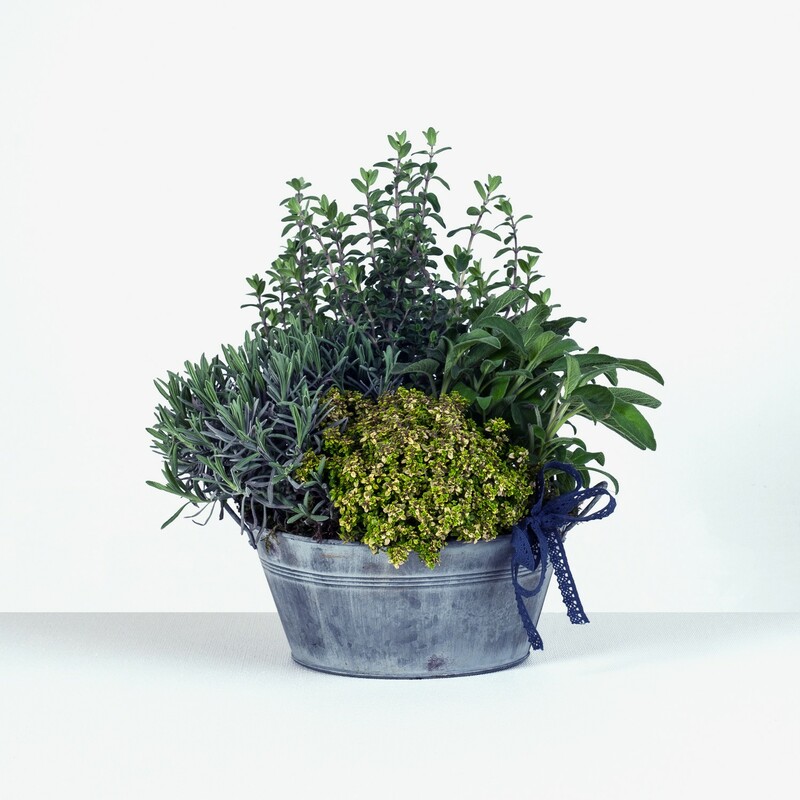 Containing a wonderful selection of fragrant herbs including lavender, lemon thyme, oregano and sage, it can be potted in the garden, planted into the ground, or kept indoors for a rustic display. Lavender is commonly used to aid sleep, while thyme, oregano and sage add a delicious flavour to many classic and contemporary recipes. The combination of scents enhance this delightful arrangement and makes this an excellent and unusual gift for a birthday.